My latest op-ed, title above, appeared in The Virginian-Pilot last Thursday. Cantor lost because he didn’t do the time. Somebody should have handed him a copy of Tip O’Neill’s book, All Politics is Local. A few years ago, the talking heads declared “all politics is local” dead. I’m guessing they did so without ever having read the book. If they had, they would have discovered that O’Neill wasn’t talking about local issues, but rather about how a politician could serve in Washington and still be thought of as a member of the community s/he represented. I tell them to pay attention to their own backyard and take care of their folks. Get home often and report to their constituents. Keep them informed and you will find they will like and respect you and allow you to be a ‘national’ Congressman and vote for things that are good for the country but may not have a direct impact on your district. To pay attention to their own backyard requires spending time with the constituents, not just coming and going in a limo, like some reports have Cantor doing. After my Mama died, I got a phone call from my current congressman, offering condolences. After my article appeared, I got a phone call from my former congressional representative, saying I’d nailed it in this piece. At my Mama’s funeral, the church clerk read an “In Memoriam” proclamation from the General Assembly, offered by the delegate in whose district my mother resided. It’s called understanding the district, connecting with those who you represent, even if you don’t align with them politically. O’Neill posited that members of the House, with their two-year terms, almost innately know that they had to put in the time in their districts. “They learn that if you don’t pay attention to the voters, you will soon find yourself right back there with them,” he wrote. 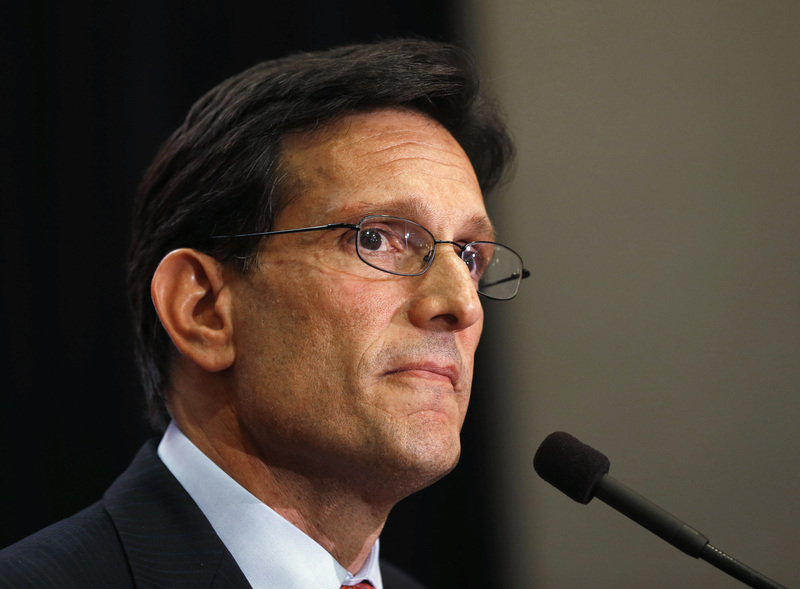 Cantor will soon be just another voter in the 7th Congressional District. All because he didn’t take care of home. With the loss of Frank Wolf, Jim Moran, and now Eric Cantor, the Commonwealth’s influence in Congress will be greatly diminished when the 114th Congress convenes next January. I have always enjoyed working with Congressmen Wolf, Moran and Cantor on issues important to Virginia and I look forward to continuing this work for the remainder of this Congress. Our congressional delegation has a long history of always working closely together for the benefit of Virginia. This tradition was recently led by Senator John Warner, whose thirty year tenure in the Senate was marked by bipartisanship and the ability to put the needs of the Commonwealth before politics. I hope and expect that we will continue to follow this tradition in the next Congress. While our seniority may be diminished, I have faith that our delegation will continue to be unified on the issues important to Virginia for the benefit of our Commonwealth. Absolutely right. I also thinks this goes to show that voters aren’t as dumb as a lot of people think. Brat had barely enough money to get his message out to enough people for him to statistically have a chance at winning. His radio and television ad were solid enough that hearing them 1-2 times and then hearing an anti-Brat Cantor ad 1,000 times was enough for people to make an “informed” decision about who to vote about. This election definitely shows that if you have 150k-300k, spend it wisely, and have the right confluence of messaging events, that you can win an election being outspent 10-20:1. Although had Cantor just ignored Brat he never would have lost. But it’s hard for a political consultant to give that advice. Most political consultants make a buck one of two ways: win bonuses and ad buys. No one gets an appreciable win bonus for a contest everyone expects you to win by double digits, so the only way you get to cash in on Eric Cantor’s fundraising is if you persuade that knucklehead to blow a couple million dollars on television ads he doesn’t need. I’m sure his consultants are going to feel absolutely beside themselves with grief while they’re hiring contractors to dig their new swimming pools. You’re absolutely right, its always about the ad buys and there is no glory in winning a race everyone thinks you’re going to win. Also keep in mind Boehner had a primary challenge and Cantor wanted to win his by a larger margin. But Brat’s ads were definitely better. I heard his radio ad a few times and it was absolutely devastating. I can’t find a link, but basically it was a guy talking about how he lost his business while Eric Cantor’s net worth has skyrocketed and he voted to exempt family members from insider trading.